Our contributing doctor, an emergency room physician, describes a common complaint in ER life: symptoms that prompt patients to ask for antibiotics. Along the way, he describes a reasonable approach to treating what typically are cold and flu symptoms. People often want—and often get—antibiotics for conditions where they may not need them. They're even known to hit the Emergency Room in hopes of scoring a prescription, as our author—an ER physician in New York—has seen first-hand. “Can I have antibiotics just to clean up this cough?” That’s a question I am asked on an almost daily basis in the Emergency Room at White Plains Hospital in New York. I see 15 to 20 patients each day, and sometimes 30 or more if I’m working the “Fast Track,” or what we call the Intermediate Care area. A majority of these patients come to the emergency room with typical cough and congestion symptoms. They complain of upper respiratory irritation with a cough or mild sore throat. They sometimes complain of a little phlegm and nasal congestion. In short—a cold! 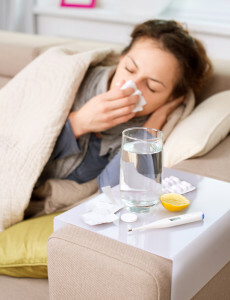 We evaluate these patients as quickly as possible in an attempt to separate them from the severe asthmatics and those who have a high fever, lethargy, or symptoms that may indicate a more serious underlying illness. Our author has seen more than a few cases of patients with cough and cold symptoms stopping into the Emergency Room in hopes of getting antibiotics. The vast majority of minor respiratory infections are caused by viruses and, therefore, antibiotic therapy has no place in the treatment. In fact, there’s very good evidence that overuse of antibiotic therapy not only can cause adverse reactions and side effects in a patient, but it may have a long-term negative impact on the effectiveness of antibiotics in the community. Furthermore, antibiotic over-prescribing also may contribute to the emergence of antibiotic-resistant bacteria. The appearance of MRSA (Methicillin-resistant Staph aureus) and other “super bugs”—including those that cause “hospital-acquired pneumonia” (HCAP)—are the result of flagrant antibiotic use and irresponsible prescribing over the past 65 years. 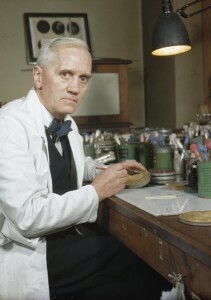 The father of modern antibiotics, Alexander Fleming (1881–1955), is likely rolling in his grave as I write this piece. A gram of penicillin in his day was worth a pound of gold, and the miraculous response his potion brought to those dying of simple infections was almost magical. To practice as a physician in the age of antibiotics is a privilege, but along with privilege comes great responsibility. We, as physicians, are obligated to use antibiotics appropriately and to limit their use when unnecessary so that their potency is not diminished. The public—wanting the best, most efficient, and fastest remedy—is oftentimes at odds with their healthcare providers for what it may perceive as a denial of quick, effective treatment. When a patient has a stuffed-up nose or is coughing phlegm, he or she isn’t usually thinking about exactly what organism or “germ” is infecting their mucous membranes. They merely want to get better. They want to return to family, work, and life. They don’t want to hear about the nuances of antibiotic use, and the great risks to the general population about the overuse of antibiotics. This difference in perspectives between providers and patients often creates a dissonance between the two parties and makes for an adversarial rather than constructive relationship. It can result in a chain of events, feelings, and emotions that hurt both parties, thus detracting from the ultimate goal of treatment and education. Furthermore, when a consumer is at odds with his or her healthcare provider, it can lead to negative feedback from patient to doctor and cause reduced satisfaction on surveys and Press Gany scores. Theses scores and surveys have real, concrete impact on the medical provider’s lives. We get reviewed and judged by our bosses and peers based on surveys. We get ranked and rated in websites and national lists that can then impact our salaries and insurance reimbursements. As for patients, they only get frustrated by what they may feel are hasty, condescending responses and/or complicated and unintelligible jargon spewed by an insensitive health provider. They don’t hear us at this point. What now? How do we approach this rift? How do we maintain a positive and constructive relationship with our patients? I believe the answer is a four-pronged approach that I call “SHEC,” and it can apply to most areas of medicine. SHEC stands for Science, Honesty, Education, and Compassion. Yes, if used correctly, SHEC can get us out of many messes and move us toward more productive, fertile ground. It can allow us, as providers, to delve into the real issues that may confront patients and loved ones in far more complex and serious situations then just a common cold. SHEC can lead to happier, healthier, and more satisfied patient populations. The challenge with SHEC is that (as with many things) it requires patience and time. 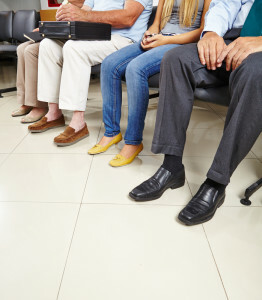 A doctor should sit down and take a careful history and listen carefully to a patients’ concerns and fears. We then must try to tailor our science into an understandable form so that our patients won’t feel we’re talking down to them (or above them). This can be difficult because many patients don’t want the “dumbed down” version. 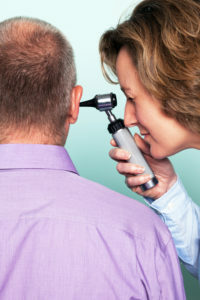 A careful exchange during the interview and exam may allow one to assess what the patient may or may not absorb and the level of science they can understand. Several times in the past, I have begun to explain my simplified germ theory to a biochemist or pharmaceutical researcher, only to realize their level of comprehension may be superior to mine. Other times I catch myself talking about gram positive or encapsulated organisms to a less informed patient who may be aware that there are “germs” out there (and that’s about it). “Well, Ms. Smith, by my exam, you have a common cold or viral respiratory infection. This infection is caused by a virus and not by bacteria, and, therefore, does not call for antibiotic treatment. Antibiotics are not effective against viruses. In fact, antibiotics can put you at further risk for side effects such as diarrhea, stomach upset, and the growth of stronger bacteria on your body. “The virus you have will run its course in several days, or possibly longer, but there are many ways we can make you feel better and help you get better as quickly as possible. Our best approach to helping you is for you to get plenty of rest and to drink clear fluids so you don’t get dehydrated. There are some medicines you should take for fever and body aches; we can also recommend medications for your cough and congestion that may help with these symptoms. There it is. It takes some time and patience, and may not be perfectly smooth, and in some cases, it may get difficult. There is sometimes the insistent patient that will not take no for an answer. I have found, that if I take a moment and embrace my SHEC technique, things usually turn out positively. Give cold symptoms plenty of hydration, fever-reduction help, and a lot of rest, and they often disappear in a few days. Now for the patients to remember: Please know that almost all coughs, colds and congestion, resolve spontaneously in a short period of time (three to five days) with rest, fluids, and fever control. I can’t stress enough the importance of rest and hydration, and I believe that most people when sick, are falling short of this goal. In the present world, we live in, we don’t want to stop and slow down when we are sick. We can’t be bothered by an inconvenient illness and we, therefore, often don’t embrace the fundamental steps that are required to get well. If we could just pop a pill and keep going, then that seems to be what we would prefer. It is up to quality health care providers to inform us and guide us to do what is right and not just what is the most convenient. As patients, please have faith, and allow your physician to become a better provider of your health. Have some patience and realize that recovery may take time and even be inconvenient, but you also are responsible for your recovery. 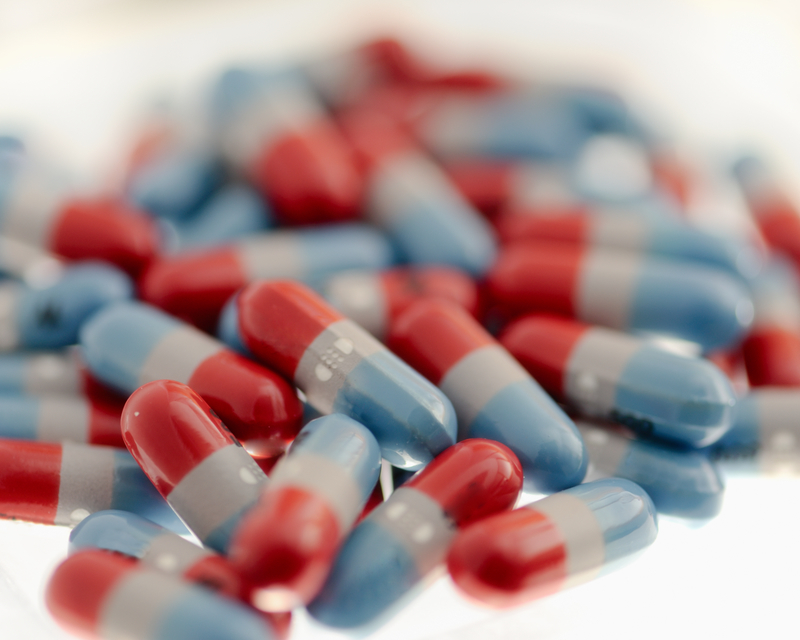 The pathway to getting well may not be contained in a little pill. Have some faith in your doctor’s knowledge and ability. We, as physicians, truly want to help you. James M. Bregman, MD, is an Emergency Physician at White Plains Hospital in New York. He has been on staff there since 1993 after completing his residency at Montefiore Medical Center, N.Y. He is Board-certified in Internal Medicine through American Board of Internal Medicine (ABIM) and in Emergency Medicine through the American Board of Physician Specialties (ABPS). 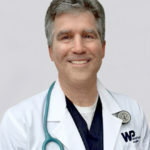 In addition to his work as an emergency physician, he is an adjunct professor at Pace University’s Physician Assistant Program, the Medical Director of The Harrison Emergency Medical Services, and an urgent care physician at The Armonk Urgent Care Clinic in Armonk, N.Y.
antibiotic therapy, antibiotics, bacteria, common cold, diarrhea, germs, health, hydration, infection, mrsa, nasal congestion, nutrition, pneumonia, recovery, side effects, sore throat, stress, viral respiratory infection, virus.